As members of the global alliance - IRC Global Executive Search Partners; The QualiFind Group is proud to announce a new partner in the Asia Pacific (APAC) region. We have continued to see significant investments being made in both the US and Mexico by Korean companies and particularly in the automotive and electronics sectors. From Kia and Hyundai’s large automotive campuses in the southeastern US to the numerous consumer and manufacturing investments made throughout Mexico and Latin America; Korea is in the top 10 global import and export markets. As a member of IRC’s Board of Directors, our Senior Managing Partner – Warren Carter participated in the selection process for bringing McKinney Consulting into the IRC alliance. 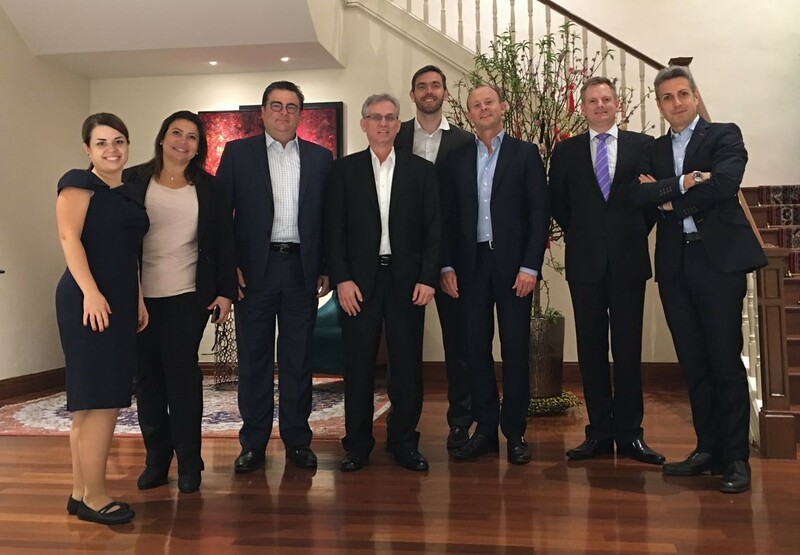 Warren met with McKinney Consulting’s president – Steven B. McKinney during a recent quarterly board meeting in Singapore. Steven McKinney is a native of North Carolina. He has more than 25 years of experience in Korea and the APAC region in both local and global leadership roles within industrial, manufacturing and consumer goods sectors. Before launching McKinney, he spent 13 plus years in executive roles with global athletic apparel giants – Adidas, Reebok and Converse. Most notably he oversaw the production of Reebok's largest contract manufacturing facility, a 5,000 employee operation which produced 14.4 million pairs of footwear annually. He was also recognized for his creative and leadership skills in leading global teams as the Global Head of Footwear Product Development for Adidas International which paved the way for Adidas to be publicly traded. Steven has more than 15 years of experience in executive search and in the identification and development of leadership teams via his leadership consulting practice. He serves on a board with the five largest business organizations and government leaders, is a senior advisor to American Chamber of Commerce in Korea, co-founder of the Korea Business Leaders Alliance and received the distinction of Honorary Citizen of Seoul in 2007 by Mayor Oh, Se-Hoon. He holds a bachelors degree from Mars Hill College in North Carolina, further MBA studies from the University of Washington and is a certified Master Coach and a member of the International Coaching Council. IRC Global Executive Search Partners is a global alliance of member-owned executive search firms that interface to serve client needs for talents outside of their local or regional markets. IRC partner firms also work to share best practices in executive search, talent acquisition and leadership consulting both within the alliance and with respective clients. The QualiFind Group is among more than 350 other IRC partners and consultants located in 80 cities on six continents which Hunt Scanlon Media ranks in the Top 3 for global geographic coverage within the executive search industry. IRC partner firms have a combined track record of more than 30,000 completed search assignments for 2,000+ clients in almost every conceivable industry segment and function. Our partners and consultants are as culturally and geographically diverse as our clients. Confidentiality, precision and urgency are paramount as IRC member firms execute the most challenging retained executive search and talent mapping assignments to secure the best available candidates, wherever they may be.